Not a great pic but believe me it tasted better than this looks. I am in Vegas for CES again and last night we ate at BB Kings. This is a Sweet Potato Puff Sundae! 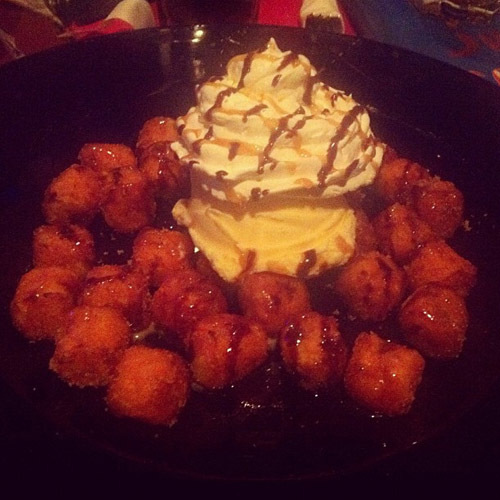 Those are little sweet potato tater tots rolled in brown sugar and drizzled with chocolate and caramel. Topped with vanilla ice cream and whipped cream.